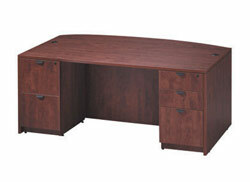 Distinguish your office with the sophisticated look of the ultra laminate series by Office Furniture Distributors. 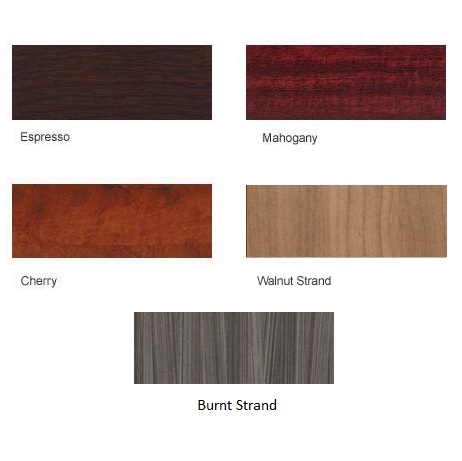 Bold, thick tops in stunning colors will add prestige and warmth to any office environment. 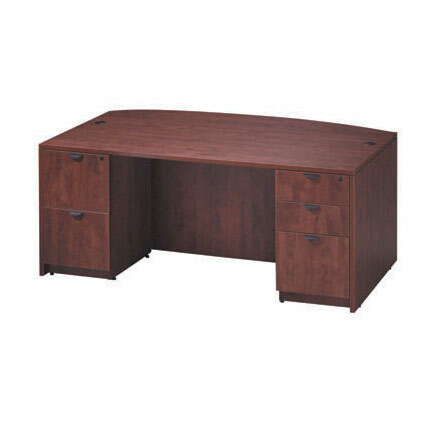 Attention to detail, use of premium grade laminates and superior hardware on all components ensures years of trouble free use. 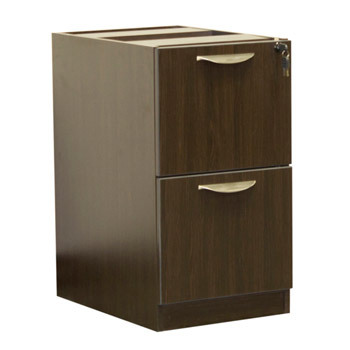 Desks come with full pedestals with box file and hanging file drawers. 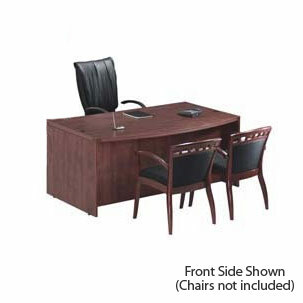 Available in several wood finishes to match any office.